Military Edged Weapons and Utility Knives – Soldiers carry firearms for utility, and for offensive and defensive use. 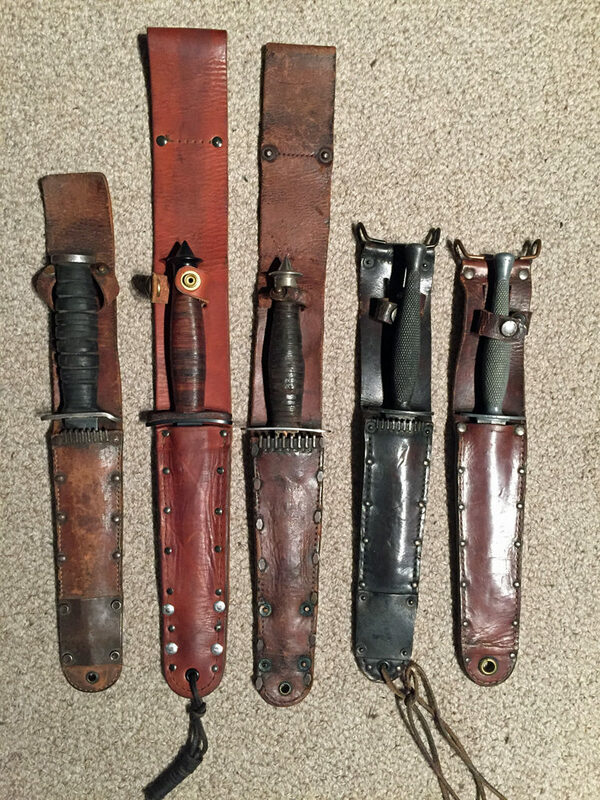 Left to right: U.S. M3 Trench knife is an “unfinished (but used) M6 scabbard. ; Case V-42 reissue post-war; WWII issue Case V-42 of Sgt. Jack W. Stallings 1-1 FSSF; 1 Canadian Parachute Battalion “Killing Knife”; USMC Stiletto. 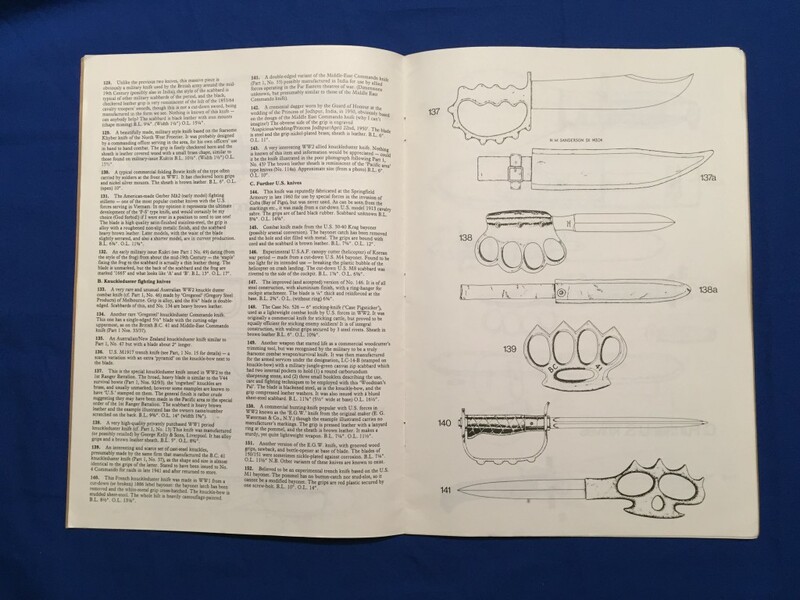 This page will link to pages as I create them on various different edged weapons.